Alright. The date is set, mark your calendars and start getting your alltracs ready for the next Dragon Meet. You all have plenty of time to get them running and ready. We will use this thread to update info and organize everyone to come. Hopefully we can get everyone out this time.. myself included! Last edited by turbo4wd on Thu Nov 13, 2008 1:17 pm, edited 1 time in total. I'll be ready. I've always wanted to drive it, and nows the chance. Can't wait. This will be my 3rd year. 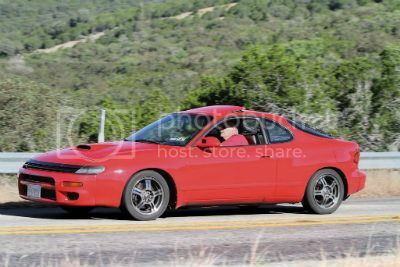 Of course the Trac has yet to make this event and with the new house and main issue with the car 2009 will be WRX again. But always excited to run the dragon and meet up with everyone either way. ^Becareful Toys or your Trac will be accused of being allergic to Dragons like CMS-GT4! We'll have to see if we can meet up somewhere on the way down. We've got time to discuss that anyway. /\ Yeah I know. I refuse to be Trac-Less for a fourth year. So hopefully thngs will work out. My car is running and looks great but still needs a new suspension (Tein's or Megan Racing) and to get the nasty hole under my front sway bar repaired. But definately as time gets closer we can work out meeting up. Me and Azz usually stop and take pics at times on the way down. Mine is definitely more allergic.... I'm aiming to be there this year. We're going to have to get some Benadryl for All Tracs. Hope you can make it Andre. Even it the All Trac isn't ready go, come on to the meet! Well, my engine is blown. Neither the block or head are salvageable. But.. I'm still going to try to make it with the trac. If mine makes it up there, none of you guys should have an excuse! cool. you can camp for a night at my place then off to the dragon the next day! Def can't wait. It's a highlight every year. Hope to meet the same and new faces.